TESTIMONIALS READ WHAT JUST A FEW OF OUR SATISFIED CUSTOMERS HAVE TO SAY ABOUT OUR SERVICE. 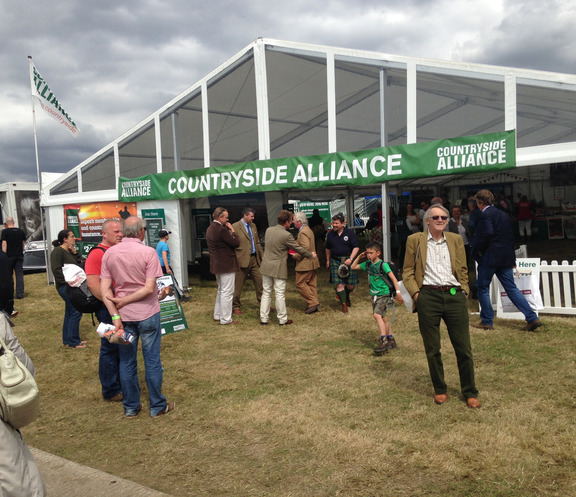 "We required a quality marquee for a demonstration tent at England’s premier agricultural show, the Great Yorkshire Show. We chose Malton Marquees to fulfil this for us as they were quick to respond to our initial enquiry and very keen to come and look at the site and work out the best fit for us. After further conversations, it became apparent that the team had the skills to dress our exclusive sponsors pavilion with drapes and linings in a creative and decorative manner, which has been commented on very positively by our sponsors. Whenever we have worked with the team we have found them to be professional and reliable, Andy in particular, looks at our requests from a different angle and offers alternative solutions that work well to achieve our show objectives." 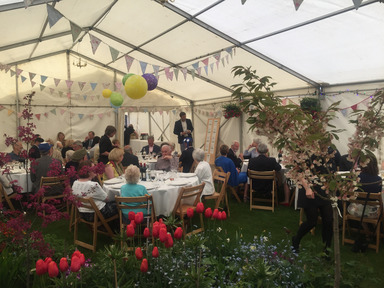 "It was a great pleasure to to deal with Malton Marquees. We went for the usual 3 quotes but felt confident that Malton Marquees would deliver. They came up with great suggestions for including one of the flower beds into the tented area. This became a feature within the Marquee for a 70th Birthday party lunch. As the day approached the marquee was erected quickly by considerate staff. They were even able to accommodate necessary changes to part of the tented area. It was a great job and thank you for a super marquee!" "We've worked with Andy on many occasions and he's always been fantastic. The quality of the product and service he supplies are second to none and he always thinks not only of the couple, but also the suppliers, ensuring that we have everything we need to guarantee the event runs smoothly. We're always pleased to hear that clients have booked Malton Marquees." 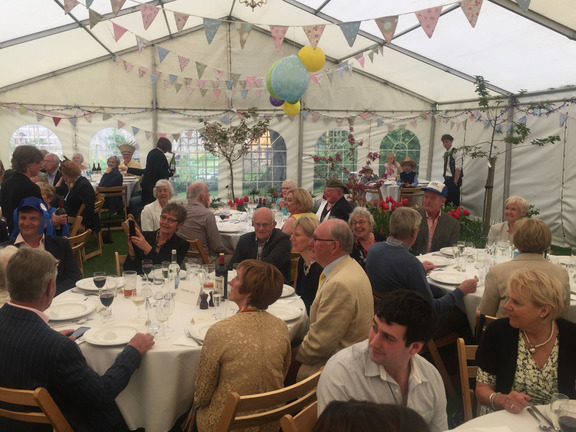 "Thank you very much indeed for delivering such a fantastic marquee to Sledmere in which to celebrate our wedding on 12th September. The whole marquee project was executed with military precision and please extend our thanks to the team. Thanks again for all that you and Malton Marquees did to help make our day so special!" "Thank you for supplying the marquee and trimmings and for doing everything we asked. It all contributed to a magnificent day. The site was left nice and clean too!" "Thank you so much for everything you did this weekend. The marquee looked fantastic, went up smoothly, went down quickly and the team looked after our client brilliantly. It was a real pleasure to have such reliable and effective people on the team." "Thank you for your help at this year's Horse Trials. The event went very smoothly with crowds totalling 43,000 over the four days." "We cannot praise Malton Marquees highly enough for the job you have done for us on two different occasions. The marquee was superb, second only to the service provided by Andy and the team, with no fuss or bother. Where we wanted it, when we wanted it, laid out exactly as we had asked, with the extra details organised at the last minute beautifully executed. 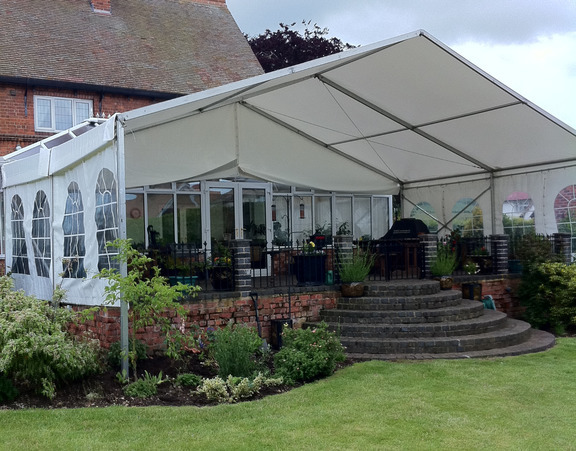 We would recommend Malton Marquees to anyone!" "You're getting a bit slick and smooth at your profession! Seriously, everything you did was thoughtful, kind and brilliant, and very much appreciated by everyone here, thank you!"